Dengue fever is considered a Neglected Tropical Disease (NTD), as it both affects predominantly resource-limited countries and supports the need for increased research and development (R&D) (1). The situation has become critical given that transmission of dengue has increased in both frequency and magnitude, as well as has expanded to new areas. However, over the last two decades, dengue R&D has grown extensively, particularly in the vaccine division of the pharmaceutical company Sanofi, which has led to the development of the world’s first dengue vaccine: Dengvaxia®. Concerns have now surfaced regarding the vaccine’s efficiency, specifically amongst children younger than 9 years of age, and in low-transmission areas. Therefore, the creation of Dengvaxia® is not the final step towards the eradication of dengue. R&D must not only continuously seek an improved version of Dengvaxia®, but should also consider other dengue vaccine candidates, and improve distribution of the vaccine in all affected countries. Dengue fever is a viral disease, transmitted predominantly by the Aedes aegypti mosquito vector. It is characterized by a multitude of clinical manifestations, including symptoms such as headache, muscle/joint pain, nausea, sore throat, and rash (2). While dengue fever is self-limiting in the majority of cases, secondary infections can lead to more severe presentations, notably dengue hemorrhagic fever (DHF) (3). There are four distinct strains (or ‘serotypes’) of the dengue virus, all members of the Flaviviridae virus family: DENV-1, DENV-2, DENV-3, and DENV-4, each capable of giving rise to an epidemic. Regions labeled as ‘hyperendemic’ show infection from multiple strains, while ‘hypoendemic’ areas only show infection from one strain (4). Descriptions of symptoms consistent with dengue fever have been found in a Chinese medical encyclopedia dating back to 265-420 AD, while epidemics of dengue in what is now considered the West Indies and Central America were reported in the 17th century. The A. aegypti mosquito had spread to urban coastal areas worldwide by 1800 due to rapid industrialization and increased far-ranged transportation. By the end of World War II, hyperendemicity and DHF had arisen in South-East Asia. Following decades of mosquito control efforts attempting to suppress A. aegypti in the Americas, many eradication programs initiated by the Pan-American Health Organization (PAHO) would be discontinued in the 1970s (52). By 1995, dengue incidence had reverted to pre-intervention levels in the Americas and Pacific regions. Global incidence of dengue has since increased rapidly, particularly in the last fifty years (3). Efforts to estimate global disease incidence yield a figure of 50-200 million clinically observable infections per year worldwide, though the risk of contracting dengue is greatest in the Americas and Asia (5). The year 2015 saw outbreaks of dengue worldwide, most notably in Brazil, Malaysia, the Philippines, India, Hawaii, and the Pacific Islands. Approximately 500,000 people are thought to require hospitalization due to DHF each year, of which approximately 20,000 cases are fatal (3). Together, both fatal and non-fatal presentations of dengue accounted for 1.14 million disability-adjusted life-years (DALYs) lost in 2013 (6). Stanaway et al. (2016) show the percent increase in DALYs lost due to dengue from 1990-2013 in various regions of the world, demonstrating a robust, progressive escalation of the global burden of dengue (6). However, the true incidence of dengue may be larger than reported, as 3.9 billion people across 128 countries are thought to be at risk of dengue infection (2). From a biomedical standpoint, there are several obstacles to the development of a successful dengue vaccine. Firstly, the most challenging obstacle to recognize is that secretion of neutralizing antibodies in response to a weakened dose of dengue does not alone signify acquired immunity from natural infection or the next encounter with the dengue virus (13). As vaccine trials which assess the efficacy of a vaccine usually rely on the host’s seroprevalence of antibodies mounted against the pathogen in question, this particular obstacle renders such an approach unviable. Rather, longitudinal studies of vaccine efficacy need to be performed in the field – in regions where dengue is endemic – with long-term follow-up of vaccine recipients to observe their resistance (or lack thereof) to subsequent exposures to dengue. As a result, any new vaccine to be developed for dengue prevention will be far more expensive in the R&D stages than that for other diseases for which a simpler, more rapid marker of acquired immunity exists. Secondly, non-human primates do not develop overt dengue fever, which poses a challenge for testing potential treatments in non-human models. Thirdly, each of the four dengue virus strains is antigenically distinct, such that the immunological response mounted by an infected patient is different against each strain. The lifelong immunity conferred via infection by one serotype does not protect from the other three serotypes, leaving the patient susceptible to secondary infection. Thus, an effective vaccine would have to be multivalent, providing immunity against all four serotypes, in order to prevent both primary and subsequent infections. However, multivalent live vaccines can cause interference between serotypes (7), meaning that the vaccine recipient will only mount a robust immune response to one or two of the serotypes. Fourthly, there is a risk that dengue vaccination could result in antibody-dependent enhancement (ADE). ADE occurs when non-neutralising antiviral proteins facilitate virus entry into host cells, leading to increased infectivity in the cells. It is an important risk to take into consideration because a partially effective vaccine as Dengvaxia® may increase the severity of natural infections, as secondary infections are more severe in some cases. Finally, the dengue vaccine, when co-administered with previously established vaccines, should not have undesirable effects. This is a complicated issue to consider, given that different countries have diverse immunization programs and schedules (8). Before 1970, only nine low-and-middle-income countries (LMICs) had experienced severe dengue epidemics (3). Yet, while low-income countries (LICs) were financially incapable of investing in a vaccine, high-income countries (HICs) did not support the project because dengue neither affected their population nor threatened their security. However, the burden of disease has shifted geographically, as the disease is now endemic in more than 100 countries and cases have been identified in France (in 2010) and in Florida (in 2013), among others. In fact, “threat of a possible outbreak of Dengue fever now exists in Europe” (2). In HICs, dengue and the mosquito vector accompany travelers returning from dengue-endemic countries. Furthermore, endemic areas of the mosquito vector are expanding as the range of suitable environmental conditions for its reproduction is increasing due to climate change (10). Indeed, Monaghan et al. posit that by 2061-2080, A. aegypti habitat “would increase by 8% under moderate emissions pathways” (11). Evidently, the spread of the disease has prompted a call for intervention. Despite efforts to control dengue, based primarily on vector control and case-management, both the costs and burden of disease have continued to grow. Prevention of dengue by vaccination has become necessary to cope with these concerns (12). Historically, the development of a safe and effective dengue vaccine has faced many challenges (13, 14). In the last decade, vaccine development efforts have increased dramatically due to a heightened awareness of the dengue pandemic (15). Sanofi Pasteur, the vaccines division of Sanofi, has developed a recombinant, live-attenuated tetravalent dengue vaccine. A live-attenuated viral vaccine actively replicates in the host, resulting in an array of wild virus-like antigens, which could potentially provoke a response similar to natural immunity (16). CYD-TDV, branded Dengvaxia®, was licensed in 2015 as the first dengue vaccine. To date, eleven countries have approved the vaccine (17). In April 2016, the World Health Organization (WHO) recommended that dengue-endemic countries consider using Sanofi Pasteur’s Dengvaxia® “to immunize populations with high levels of dengue endemicity, aged between 9 and 45 years old” (18). Phase I clinical trials: small-scale trials conducted to assess vaccine safety in humans. Phase II clinical trials: larger trials that mainly assess the efficacy of the vaccine against artificial infection and clinical disease. Vaccine safety and side-effects are also studied. Phase III clinical trials: conducted in a large pool of subjects across several sites to evaluate efficacy under natural disease conditions. If the vaccine retains safety and efficacy over a defined period, the manufacturer can request the regulatory authorities for a license to market the product for human use. Ten years of Dengvaxia® clinical trials were conducted prior to the successful completion of Phases I-III in 2014, involving 25 clinical studies in 15 countries worldwide. More than 40,000 volunteers were enrolled in the clinical studies, and 29,000 of them received Dengvaxia®. The vaccine demonstrated protection of 67% of these participants against dengue (15). A Phase IIb study (CYD23) – observer-masked, randomized trials – was conducted in healthy Thai schoolchildren aged 4–11 years. In Ratchaburi, Thailand, 2669 children were randomly assigned to receive three injections of CYD-TDV, and 1333 were assigned control injections, consisting of the rabies vaccine or placebo. Overall, 3673 participants were included in the primary analysis (vaccine, n = 2452; control, n = 1221). The vaccine efficacy was 30.2% (95% Confidence Interval [CI]: −13.4 to 56.6), but differed by serotype. In the intent-to-treat population (all children who were enrolled and randomly allocated to treatment), the efficacy observed for DENV-1 was 61.2% [95% CI: 17.4–82.1], for DENV- 3 was 81.9% [95% CI: 38.8–95.8], and 90.0% [95% CI: 10.6–99.8] for DENV-4 (15). However, for DENV-2, which is the predominant serotype, efficacy was only 3.5% (95%CI: −59.8 to 40.5). The lack of observed efficacy against DENV-2 occurred again in phase III studies. Two pivotal phase III studies, CYD14 and CYD15, were respectively carried out in children aged 2–14 years in Asia, and in children and adolescents aged 9–16 years in Central and South America. Each of the studies included five endemic countries, consisting of 11 sites in Asia and 22 sites in Latin America. Both trials (CYD14&CYD15) successfully met their primary end-point. During the active phase of the disease, both trials showed higher efficacy against severe disease and hospitalization for dengue (in CYD14, 56.5% overall efficacy against dengue disease vs. 67.2% against hospitalization; in CYD15, 60.8% overall efficacy against dengue disease vs. 80.3% against hospitalization) (15). Secondary analyses showed that all four dengue serotypes contributed to the overall efficacy, although the efficacy against serotype 2 was inconclusive, which is considered as a weak point of Dengvaxia® and is still under research. In total, six vaccines are in clinical development, but to date only Dengvaxia® has completed phase III trials (48). Dengvaxia® has a three-dose schedule, each six months apart, with its durability not yet established. The vaccine was well tolerated, with no safety signals after 2 years of active follow-up after the first dose. In both trials, there were no marked differences in the rates of adverse events (49), which is a key to Dengvaxia®’s success since other dengue vaccine candidates had failure in avoiding adverse events. Moreover, no cases of acute viscerotropic or neurotropic diseases were recorded, and no vaccine-related deaths were reported (15). In addition to the surveillance during clinical trials, there is a four-year long follow-up phase called LTFU, which is in line with the WHO guidelines. During the first year of LFTU, there were no significant differences in symptoms and signs between vaccine and control groups. These results, which include data from 10 countries with different populations in age and ethnicity, have demonstrated the efficacy and safety of Dengvaxia®. Moreover, Dengvaxia® also takes the risk of resulting in antibody-dependent- enhancement (ADE) into consideration. No, or only minimal, ADE activity in vitro was observed. In particular, there was no in vitro ADE in the presence of broad neutralizing responses against all four DENV serotypes (50). More research is ongoing and will continue to be addressed by long-term follow-up and future post-licensure studies. So far, the vaccine is approved in eleven countries: Mexico, The Philippines, Brazil, El Salvador, Costa Rica, Paraguay, Guatemala, Peru, Indonesia, Thailand, and Singapore, and the distribution process differs in each (19). Dengvaxia® is now available in certain private healthcare clinics in Costa Rica, Mexico and the Philippines for immunization of individuals 9 to 45 years of age. In El Salvador, the vaccine is now considered the first public dengue prevention, and can be administered by healthcare professionals. In Brazil, Paraná State has launched the first public dengue immunization program in the Americas, targeting vaccination of 500,000 of the state’s residents this year. The first public dengue immunization program has also begun in the Philippines, where the country planned to give one million public school children their first dose by June 2016. For many of these implementations, Dengvaxia® has received endorsements from key medical societies at national and regional levels. During the last century, the dengue virus rapidly expanded from its tropical origins to subtropical and temperate climates. In the early 2000s, both the WHO and the U.S. military classified dengue as “the most important and rapidly spreading mosquito-borne viral disease in the world”, which resulted in the classification of the disease as a major international concern (20). One of the key events prompting the successful development of Sanofi’s dengue vaccine was the emergence of the Dengue Vaccine Initiative (DVI) in 2010 (47), a non-profit organization that seeks to promote further awareness of the urgent need to support both the development and use of the dengue vaccine (17). To assist this initiative, the International Vaccine Institute (IVI) advocated for international research and partnerships, as well as knowledge-sharing between the WHO, the Sabin Vaccine Institute, and the International Vaccine Access Center through the John Hopkins School of Public Health (47). This resulted in the formation of a Global Product Development Partnership wherein multinational partners could contribute expertise in vaccine development and production, demand forecasting, budget impact planning, economic aspects analysis, as well as vaccine advocacy (47). Since the development of the vaccine, Sanofi Pasteur, the current manufacturer of Dengvaxia®, has partnered with several international institutions. For instance, the vaccine division has partnered with the University of Mahidol in Bangkok, where a previous version of the vaccine had been researched, as well as the Pediatric Dengue Vaccine Initiative (PDVI) in 2006 to accelerate R&D for a dengue vaccine (22). Finally, Sanofi conducted its R&D in nations with robust R&D infrastructure (USA, France), which led to accelerated testing and manufacturing of the vaccine. The DVI has managed to attract massive sources of financing since the emergence of the Global Product Development Partnership. In 2011, the DVI received grants from vaccine developers to facilitate discussion between the major stakeholders in order to ensure the vaccine is widely available in countries where dengue is prevalent (21). The Bill & Melinda Gates Foundation committed to a US$ 55 million grant in 2003 to the International Vaccine Institute to accelerate the development of a safe and protective dengue vaccine (32). In 2011, the foundation allocated an additional US$ 6.9 million grant to further promote this agenda (23). Since then, it has continued to support DVI (21). Sanofi Pasteur has alleged that developing the vaccine required nearly 20 years of research and approximately US$ 1.7 billion in investment (24). Although early agreements between Sanofi and other players extend from 1994, the previously mentioned global health funds accounted for the sustained financial commitment that enabled the vaccine’s development. 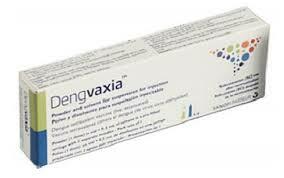 Western news outlets have reported on the large market for Dengvaxia®, suggesting that the rapid approval of the vaccine in different countries could lead to a US$1.4 billion market by 2020 (25). Sanofi Pasteur increased sales by 15% to US$ 5.1 billion (from 2015) and has seen consistent growth in recent years despite the decline of other revenue streams, such as Sanofi’s diabetes franchise (26). Pricing for Dengvaxia® is likely to change over time. Early pricing reports from the government-subsidized school children vaccination plan in the Philippines reported that Dengvaxia® would cost the government around US$ 70 per child (3,500 Philippine Pesos), although other early immunization campaigns in the Philippines were reported to cost approximately US$ 22 per injection (27). Early estimates from Brazil place the cost of the vaccine between US$ 46-55 (29), which make it much more expensive than other mosquito-borne infectious disease medications; for example, the price of chloroquine tablets to treat malaria, depending on the place of procurement and available subsidies, can be as low as US 10 cents, or 1/10th of a US dollar (51). The WHO Strategic Advisory Group of Experts on Immunization (SAGE) met in April of 2016 to make recommendations based on mathematical modelling evaluations. These evaluations demonstrated that in high-transmission settings, the introduction of routine Dengvaxia® vaccinations in early adolescence could reduce dengue hospitalizations by 10-30% over a period of 30 years. Accordingly, the SAGE suggested that countries consider introducing Dengvaxia® “only in geographic settings [with a] seroprevalence of approximately 70% or greater in the age group targeted for vaccination [and stated that Dengvaxia®] is not recommended for use in children under 9 years of age, consistent with current labelling” (30). The primary limitation of Dengvaxia® is mixed vaccine efficacy in specific subpopulations. A modeling study found that in high-transmission areas, vaccination is associated with a 20 to 30% reduction in both symptomatic disease and hospitalization (31). There is evidence that Dengvaxia® can produce infection-enhancing antibodies in vaccinated seronegative individuals (32), leading to higher hospital admission rates, notably among children younger than 9 years (33). A potential solution to this issue would be immunological screening before vaccination in order to identify seropositive individuals, such that they would be the only group to receive the vaccine. However, this would significantly reduce the prospective vaccination population (34). Moreover, recent evidence suggests that dengue virus antibodies can significantly increase the Zika outbreak peak, speed up the Zika outbreak peak timing and therefore enhance the Zika virus infection by driving greater Zika replication. Using a selection of human monoclonal antibodies, researchers have demonstrated that plasma immune to the dengue virus produced antibody-dependent enhancement (ADE) of a Zika virus infection (35, 36). Although the sequence of the envelope protein for each virus differs by 41-46%, the dengue virus antibodies, rather than neutralizing it, bind to the Zika virus and promote ADE (35). The Zika virus could potentially be considered an additional member of the dengue serocomplex (35). Overall, the enhancement of Zika by dengue antibodies could led to particularly devastating outcomes since Zika is of the highest prevalence in areas where dengue is currently endemic. Further investigations are thus necessary to better understand these processes that must be considered in the development of an effective dengue or Zika vaccine (36). A fifth serotype of the dengue virus, dubbed DENV-5, was discovered after genome sequencing of a viral sample from a patient in the Sarawak region of Malaysia during an outbreak in 2007, though the infection was initially attributed to DENV-4 (37). Primates infected with the isolated DENV-5 strain mounted distinct immune responses from those elicited by either of the first four viral strains, indicating that the fifth serotype was indeed a distinct pathogen (38). The public health consequences of this new serotype remain to be seen, though most cases in the Sarawak outbreak – some of which, presumably, can be attributed to DENV-5 – were deemed mild (38). However, the discovery of a new viral strain further complicates the multivalent vaccine-development process, as a fully effective dengue vaccine must address all existing dengue serotypes in order to prevent a more severe secondary infection. Funding for the development of Dengvaxia® is attributed to corporate, philanthropic, and governmental benefactors, namely, Sanofi Pasteur, the Bill & Melinda Gates Foundation, and the Australian government. This multilateral financial support was a pivotal factor in the completion of the clinical trials, exemplifying the importance of global cooperation and the coordination of private and public partnerships. Furthermore, the vaccine’s approval by the WHO provided all member-states with a trusted certification of Dengvaxia® safety and effectiveness. There are three key principles to ensure Dengvaxia’s success going forward: (1) advanced trials leading to full WHO approval, (2) a commitment by Sanofi Pasteur to prioritize better health over increased profits, and (3) continued innovation in product development, and implementation of global partnerships. A key challenge will be recognizing heterogeneity across the different countries affected by dengue, in regards to each nation’s unique supply constraints, potential vaccine demand, and existing health policy. Country-to-country differences have complicated Dengvaxia® rollout strategies. International Vaccine Access Center researchers have identified key differences, including unequal availability of resources, constrained national budgets, insufficient health care coverage and policies, and diverse political priorities (39). While Dengvaxia® offers a promising model for vaccine development, perhaps equally important are other initiatives such as DVI. Dr. In-Kyu Yoon, the director of the DVI, has stated that “there is a need for more than one vaccine and more than one vaccine manufacturer” (41). Currently there are five dengue vaccine candidates in clinical development. The two most advanced candidates, now in Phase II trials, were respectively developed by the U.S. National Institutes of Health (NIH) and the Japanese pharmaceutical company Takeda (WHO, 2016). T003 from the US NIH is based on wild-type strains with specific mutations to weaken the virus. It has been licensed to several manufacturers, such as Butantan, who estimate Phase 3 trial completion by May 2018 (42). Another potential competitor to Sanofi Pasteur is Takeda. They have recently announced their investment of over 100 million euros in a dengue vaccination manufacturing plant in Germany (43). In the past, Sanofi US decreased the price of a tuberculosis drug, rifapentine, in response to the actions of health equity advocates demanding support for US public health programs (44). This reduction in price demonstrates a willingness from Sanofi to engage with activists; a similar interaction may be important in the future of Dengvaxia®. Moreover, Sanofi Pasteur purports a long-standing commitment to community involvement: “each year, the Sanofi family of companies […] – [including] Sanofi Pasteur – strives to maintain and expand a strong Corporate Social Responsibility program by investing in youth, innovation and the community” (45). Shepard et al. (2016) predict Dengvaxia® to participate in the reduction of the current global economic dengue burden of US $8.9 billion, 60% of which is due to productivity loss (46). However, the impact of these vaccines on the market and Sanofi’s claim on Dengvaxia® as intellectual property has yet to be fully observed or quantified. Dengvaxia®’s development offers a hopeful example of how a product with decades of dedicated research, sufficient funding, and innovative multinational collaboration can improve the wellbeing of people around the globe. 1. Horstick O, Tozan Y, Wilder-Smith A. Reviewing dengue: still a neglected tropical disease?. PLoS Negl Trop Dis. 2015 Apr 30;9(4):e0003632. 2. World Health Organization. Dengue and Severe Dengue Fact Sheet. 2001 July. 3. Murray NE, Quam MB, Wilder-Smith A. Epidemiology of dengue: past, present and future prospects. 4. Messina JP, Brady OJ, Scott TW, Zou C, Pigott DM, Duda KA, Bhatt S, Katzelnick L, Howes RE, Battle KE, Simmons CP. Global spread of dengue virus types: mapping the 70 year history. Trends in microbiology. 2014 Mar 31;22(3):138-46. 5. Bhatt S, Gething PW, Brady OJ, Messina JP, Farlow AW, Moyes CL, Drake JM, Brownstein JS, Hoen AG, Sankoh O, Myers MF. The global distribution and burden of dengue. Nature. 2013 Apr 25;496(7446):504-7. 6. Stanaway JD, Shepard DS, Undurraga EA, Halasa YA, Coffeng LE, Brady OJ, Hay SI, Bedi N, Bensenor IM, Castañeda-Orjuela CA, Chuang TW. The global burden of dengue: an analysis from the Global Burden of Disease Study 2013. The Lancet infectious diseases. 2016 Jun 30;16(6):712-23. 7. Anderson KB, Gibbons RV, Edelman R, Eckels KH, Putnak RJ, Innis BL, Sun W. Interference and facilitation between dengue serotypes in a tetravalent live dengue virus vaccine candidate. Journal of Infectious Diseases. 2011 Aug 1;204(3):442-50. 8. Lang J. Development of Sanofi Pasteur tetravalent dengue vaccine. Revista do Instituto de Medicina Tropical de São Paulo. 2012 Oct;54:15-7. 9. Suaya JA, Shepard DS, Siqueira JB, Martelli CT, Lum LC, Tan LH, Kongsin S, Jiamton S, Garrido F, Montoya R, Armien B. Cost of dengue cases in eight countries in the Americas and Asia: a prospective study. The American journal of tropical medicine and hygiene. 2009 May 1;80(5):846-55. 10. Ebi KL, Nealon J. Dengue in a changing climate. Environmental Research. 2016 Nov 30;151:115-23. 11. Monaghan AJ, Sampson KM, Steinhoff DF, Ernst KC, Ebi KL, Jones B, Hayden MH. The potential impacts of 21st century climatic and population changes on human exposure to the virus vector mosquito Aedes aegypti. Climatic Change. 2015:1-4. 12. Jacobs M. Dengue: emergence as a global public health problem and prospects for control. Transactions of the Royal Society of Tropical Medicine and Hygiene. 2000 Jan 1;94(1):7-8. 13. Flipse J, Smit JM. The complexity of a dengue vaccine: A review of the human antibody response. PLoS neglected tropical diseases. 2015 Jun 11;9(6):e0003749. 14. Thisyakorn U, Thisyakorn C. Latest developments and future directions in dengue vaccines. Therapeutic advances in vaccines. 2014 Jan;2(1):3-9. 15. Guy B, Briand O, Lang J, Saville M, Jackson N. Development of the Sanofi Pasteur tetravalent dengue vaccine: One more step forward. Vaccine. 2015 Dec 10;33(50):7100-11. 16. Deen JL. Editorial: the challenge of dengue vaccine development and introduction. Tropical Medicine & International Health. 2004 Jan 1;9(1):1-3. 17. Dengue Vaccine Initiative (DVI). (2016). Why a Vaccine | Dengue Vaccine Initiative. [online] Available at: http://www.Denguevaccines.org/why-a-vaccine [Accessed 01 Dec. 2016]. 18. World Health Organization, Dengue: PAHO/WHO Data, Maps and Statistics. (2016). 19. Sanofi Pasteur. (2016). First Dengue Vaccine Approved in More than 10 Countries | Sanofi Pasteur | Dengue Info. [online] Available at: http://Dengue.info/first-Dengue-vaccine-approved-in-more-than-10-countries/ [Accessed 01 Dec. 2016]. 20. Edelman R. Dengue vaccines approach the finish line. Clinical Infectious Diseases. 2007 Jul 15;45(Supplement 1):S56-60..
21. International Vaccine Access Center. (2016). About Us. [online] Johns Hopkins Bloomberg School of Public Health. Available at: http://www.jhsph.edu/research/centers-and-institutes/ivac/about-us/ [Accessed 01 Dec. 2016]. 22. Sanofi Pasteur US Media Center. (2016). Sanofi Pasteur US Media Center – Press Releases. [online] Available at: http://sanofipasteurus.mediaroom.com/press-releases?item=14603 [Accessed 01 Mar. 2016]. 23. Dengue Vaccine Initiative. (2016). International Vaccine Institute announces launch of Dengue Vaccine Initiative | Dengue Vaccine Initiative. [online] Available at: http://www.Denguevaccines.org/news-events/international-vaccine-institute-announces-launch-Dengue-vaccine-initiative [Accessed 01 Dec. 2016]. 24. Bernal, Alain. (2016). [online] Available at: http://www.sanofipasteur.com/en/Documents/PDF/Brochure_Dengue_EN_WEB.pdf [Accessed 01 Dec. 2016]. 25. Kitamura, M. World’s First Dengue Vaccine Approved After 20 Years of Research. Bloomberg. 2016 Dec 9. 26. Sagonowsky, E. Sanofi CEO: Vaccines business ‘continues to deliver’. FiercePharma. 2016 May 3. 27. Jaymalin, M. DOH to spend P3,000 per child on dengue vaccine. PhilStar Global. 2016. 28. Polwiang S. The seasonal reproduction number of dengue fever: impacts of climate on transmission. PeerJ. 2015 Jul 9;3:e1069. 29. Durand, L. Cost-effectiveness of dengue vaccination in Brazil. 21st ISPOR Annual International Meeting. Poster. 2016 May. 30. World Health Organization. (2016). SAGE meeting of April 2016. [online] Available at: http://www.who.int/immunization/sage/meetings/2016/april/en/ [Accessed 01 Dec. 2016]. 31. Ferguson NM, Rodríguez-Barraquer I, Dorigatti I, Mier-y-Teran-Romero L, Laydon DJ, Cummings DA. Benefits and risks of the Sanofi-Pasteur dengue vaccine: Modeling optimal deployment. Science. 2016 Sep 2;353(6303):1033-6..
32. Halstead, Scott. (2016). Gates Foundation Commits $55 Million to Accelerate Dengue Vaccine Research. [online] Available at: http://www.gatesfoundation.org/Media-Center/Press-Releases/2003/09/Dengue-Vaccine-Research [Accessed 01 Dec. 2016]. 33. Hadinegoro SR, Arredondo-García JL, Capeding MR, Deseda C, Chotpitayasunondh T, Dietze R, Hj Muhammad Ismail HI, Reynales H, Limkittikul K, Rivera-Medina DM, Tran HN. Efficacy and long-term safety of a dengue vaccine in regions of endemic disease. New England Journal of Medicine. 2015 Sep 24;373(13):1195-206. 34. Aguiar M, Stollenwerk N, Halstead SB. The risks behind Dengvaxia recommendation. The Lancet Infectious Diseases. 2016 Aug 1;16(8):882. 35. Dejnirattisai W, Supasa P, Wongwiwat W, Rouvinski A, Barba-Spaeth G, Duangchinda T, Sakuntabhai A, Cao-Lormeau VM, Malasit P, Rey FA, Mongkolsapaya J. Dengue virus sero-cross-reactivity drives antibody-dependent enhancement of infection with zika virus. Nature immunology. 2016 Jun 23. 36. Tang B, Xiao Y, Wu J. Implication of vaccination against dengue for Zika outbreak. Scientific reports. 2016;6. 37. Normile D. Surprising new dengue virus throws a spanner in disease control efforts. Science. 2013 Oct 25; 342(6157):415. 38. Mustafa MS, Rasotgi V, Jain S, Gupta V. Discovery of fifth serotype of dengue virus (DENV-5): A new public health dilemma in dengue control. Medical Journal Armed Forces India. 2015 Jan 31;71(1):67-70. 39. Constenia, D. (2016). Laying the Groundwork for Countries in the Americas: A Viable Plan for Dengue Vaccine Introduction. [online] Johns Hopkins Bloomberg School of Public Health. Available at: http://www.jhsph.edu/research/centers-and-institutes/ivac/IVACBlog/laying-the-groundwork-for-countries-in-the-americas-for-dengue-vaccine-introduction [Accessed 01 Dec. 2016]. 40. Stanaway, J. D., Shepard, D. S., Undurraga, E. A., Halasa, Y. A., Coffeng, L. E., Brady, O. J., Hay, S. I., … Murray, C. J. L. (2016). The global burden of Dengue: an analysis from the Global Burden of Disease Study 2013. The Lancet Infectious Diseases, 16, 6, 712-723. 41. Andersen, T. (2016). WHO Approves World’s First-Ever Dengue Vaccine. [online] Available at: http://time.com/4296193/who-dengue-vaccine/ [Accessed 01 Dec. 2016]. 42. U.S. National Institutes of Health. (2016). Phase III Trial to Evaluate Efficacy and Safety of a Tetravalent Dengue Vaccine – Full Text View – ClinicalTrials.gov. [online] Available at: https://clinicaltrials.gov/ct2/show/NCT02406729 [Accessed 1 Dec. 2016]. 43. Tsuyoshi, T. (2016). Takeda to invest more than 100 Million Euros in Dengue Vaccine Manufacturing plant in Germany | NEWSROOM | Takeda Pharmaceutical Company Limited. [online] Takeda.com. Available at: http://www.takeda.com/sp/news/2016/20161130_7636.html [Accessed 01 Dec. 2016]. 44. DeLuca A, Frick M, Lessem E, Kanouse J, Wegener D, Mingote LR. Activism on rifapentine pricing: removing cost barriers to improve the uptake of tuberculosis research innovations. Public health action. 2014 Dec 21;4(4):238-42. 45. Andersen, T. (2016). WHO Approves World’s First-Ever Dengue Vaccine. [online] Available at: http://time.com/4296193/who-dengue-vaccine/ [Accessed 01 Dec. 2016]. 46. Shepard DS, Undurraga EA, Halasa YA, Stanaway JD. The global economic burden of dengue: a systematic analysis. The Lancet Infectious Diseases. 2016 Aug 31;16(8):935-41. 47. Jameson, H. (2016). Case Study: Advancing the Dengue Vaccine. [online] Johns Hopkins Bloomberg School of Public Health. Available at: http://www.jhsph.edu/research/centers-and-institutes/ivac/resources/case-studies/advancing-Dengue-vaccine.html [Accessed 01 Dec. 2016]. 48. Hladish TJ, Pearson CA, Chao DL, Rojas DP, Recchia GL, Gómez-Dantés H, Halloran ME, Pulliam JR, Longini IM. Projected impact of dengue vaccination in Yucatán, Mexico. PLoS Negl Trop Dis. 2016 May 26;10(5):e0004661. 49. Lanata CF, Andrade T, Gil AI, Terrones C, Valladolid O, Zambrano B, Saville M, Crevat D. Immunogenicity and safety of tetravalent dengue vaccine in 2–11 year-olds previously vaccinated against yellow fever: randomized, controlled, phase II study in Piura, Peru. Vaccine. 2012 Sep 7;30(41):5935-41. 50. Corbett KS, Katzelnick L, Tissera H, Amerasinghe A, De Silva AD, De Silva AM. Preexisting neutralizing antibody responses distinguish clinically inapparent and apparent dengue virus infections in a Sri Lankan pediatric cohort. Journal of Infectious Diseases. 2015 Feb 15;211(4):590-9. 51.Jansen CC, Beebe NW. The dengue vector Aedes aegypti: what comes next. Microbes and infection. 2010 Apr 30;12(4):272-9.